When people set out to fulfill their passion, some may say they are afraid of failure. Some may say that fear such of this will hold them back and keep them from succeeding. I have always said I have a fear of success — a fear of putting my work out to the world. If I reach the masses, it exposes me to more individuals who have the opportunity to criticize my work. What is true success, how is it possible? Fear is real. It may be perceived fear from your past, or it may be fear from something in the here and now. Regardless of what the cause is your fear, it is real. Fear produces a fight or flight syndrome. Your body ramps up the adrenalin to protect you. With the increased adrenalin you can almost take to flight. You can move quickly or stand to fight if needed. Your sole purpose is to protect yourself. This process happens in different degrees according to the perceived danger. If you have a fear of failure, you run it through a paradigm in your life. All of the times you have failed or were afraid to fail come to mind in a split second and you make a decision immediately. Are you correct in your beliefs or not? If you have a fear of success, you also run this through a life paradigm. What has happened when you were successful. Was it a good feeling or did something happen to make you afraid? Did the fear of success stop you from moving forward? And again, in a split second, you decide if your beliefs are going to protect you or harm you. Regardless of the reason for your fear you stop perusing your passion because it is easier to let it go than to face the issue. Both of these are real fears. And both can keep you from growing. At this point, you will need to take a closer look at fear. Is this real fear one that will harm you today or are you looking at the situation through a paradigm that can no longer hurt you? Usually, you find that the fear is not in the here and now but from the past. So, you proceed forward with the adrenalin pumping and your heart beating out of your chest as if this fear is going to cause you pain today. Just yesterday I was talking to a friend. She is a well-known singer-songwriter who has performed in front of audiences of 100’s of thousands of people. We talked about what success is and what fear is. Then we talked about why we would hold ourselves back. For years I have held back to protect myself from those who may not like my work or may not agree with what I have to say. Are you successful when millions of people recognize you? Or is it something that resides inside of you? The definition of success is a favorable or desired outcome or the attainment of wealth. A lot of people see success as wealth, and if you are not making a lot of money, you are not successful. Let’s say that is not what real progress is. Let’s take a look at the first part of this definition, a favorable or desired outcome. The first thing to do is to decide what you believe success is. What desire are you striving for that will help you feel successful? Do you want to reach a monetary milestone? If it is about the money for you then you may never feel successful. You will always want more than what you are making. Your drive will focus on self and what you can achieve that will make others see you as successful. Is your success measured in a bigger home, more vacations or all the name brand clothing? Do you feel all of these things will give you an outward appearance of success? If money is your goal, then an accomplishment such as this would let the world see how successful you are. But maybe success for you is not about the money. Is it a desire to help others and your success is in the measure of how you feel inside? You feel accomplished when you reach a few people or help just one person with a passion or gift you have. Whatever profession you do you have the choice to be successful. You reach people in all walks of life. Do you feel you look successful when you have expensive items, and you are well dressed? Or is success inside of you? I believe success is in who you are at the core of your being not what your outward appearance is. 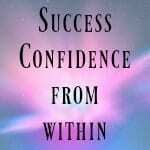 To find true success it has to come from the confidence within you. So you wonder how is this possible? Success is having a goal or passion and working to make it happen. You are on a mission to reach people. As in my case, I want to help people. I write poetry, and I want to reach people to help them with self-improvement or to inspire. 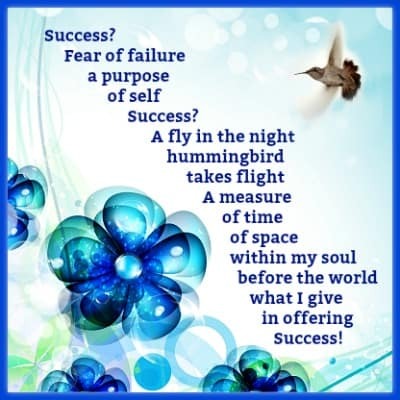 True Success how is it possible? I have a few ideas that will answer this question. Your goal may be different from mine, but we both have a desire to reach people. You set out with a plan, and you implement this plan. Your implementation alone is a real success. When you don’t give up and keep keeping on in your passion that is success. You have taken the step to move forward where others have chosen to stop. You have integrity and an attitude of honesty. You care about others. You know that what you do is going to help people and change lives. You present yourself with the truth in mind and you are trusted. It gets hard to stand for your beliefs when others do not agree with you. No matter what comes your way you keep going in your drive to help and reach others. You don’t let negative people influence your mind. You are not looking for approval. You don’t need anyone to tell you that you are doing a good job. In your heart, you know you are reaching the ones who need what you have to say or what you are offering. You are a unique individual who presents your heart to the world. You reach the world with your passion because you are on a path. No one can derail you from your path. First, you will need to sort out your fears. Why are you afraid? Is this a fear that will harm you now or is it a fear of the past that can no longer touch you? 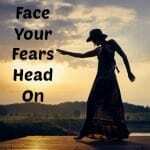 When you have determined the fear in you will not harm you it is time for you to walk past this fear. You will move forward and sometimes with great trepidation, but you will progress. Build who you are inside. Write down accomplishments and remember that success is not how much money you gain but who you are on the inside. Is success a fleeting moment or a time so small that you can’t see it like a fly that you can’t see in the dark. Or is success the determination and courage to do what you know and reach out to help others? Will you be successful in spite of your fears? You can move forward. You can find the solution to the problem another has. You can be the light in someone’s world just because you are a success at the core of your being. You are what the world needs. Now go out there and light the life of someone who needs what you have to give. Wonderful post! Something I am very familiar with! I had a lot of fear, not so much of failure, but of what people would think about me, and how they would criticize me if they didn’t agree with me. i love what you said about not needing praise. Once you come to a place where you don’t need people to like you or approve of you, you start coming into yourself! Darci, Coming to the place where we don’t need approval is the hardest place to reach. But once we do we can soar with the eagles. Thanks for stopping by and commenting. I do appreciate your input. True success for me comes when you out in work. That is putting in work on things you love doing not just to make fast money. Nowadays all this quick money scheme tends to kill ones passion but the ability to resist those temptations and face your dreams and achieving them is the true success. Thanks for this post I hope it touches a lot of people reading this out there. Yes, true success is from the heart which is doing what you love. Don’t let anything kill your passion. Keep keeping on and you will continue in your success.